The TEAS exam is a proprietary exam offered by the ATI Testing company. They have developed their own study resources for students to review. You can find them on their TEAS homepage. 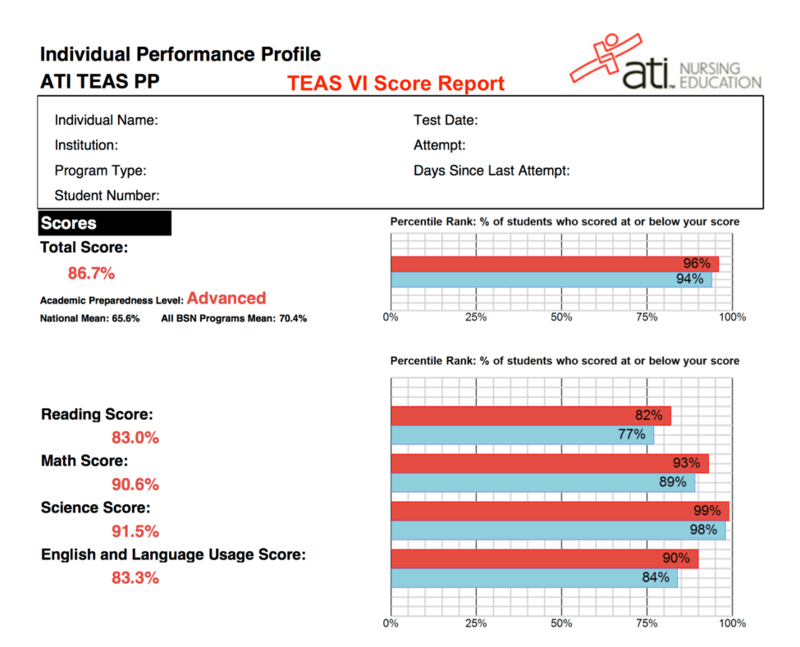 If you have taken the ATI TEAS test before, you can create a My Results. 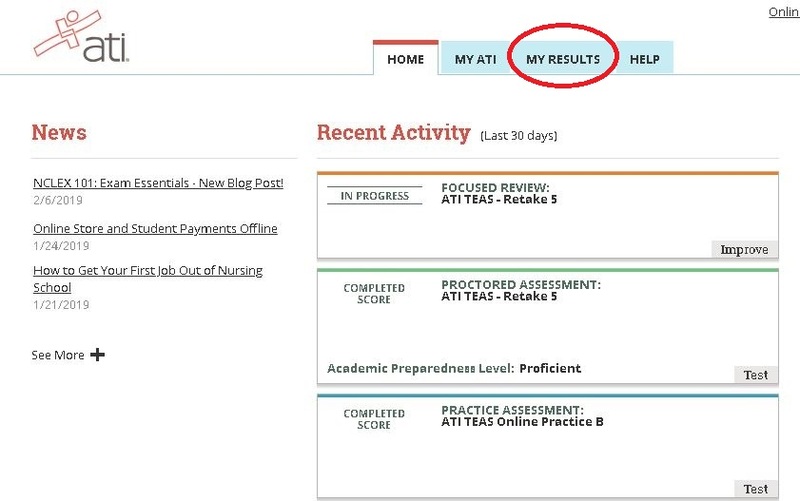 Within the My Results area of your account, next to your score report, you can create a Focused Review. A Focused Review is an online review tool that aligns question topics missed and the relevant study materials for your review. NOVA Libraries has a large assortment of TEAS preparation materials available for checkout. Including the official ATI TEAS study manual. These materials are available free of charge to NOVA students. You can also get some good tips from the testing centers “Tips for Taking the Test of Essential Academic Skills” document. Students also find it helpful to prepare by reviewing other exams. The Medical Education Campus Tutoring Center has a list of excellent resources for students to help prepare them for an exam. If your program requires that you take the TEAS, visit the Medical Education Campus Testing website. There you will complete a form via the link “Paying for the TEAS Test.” The testing center staff will respond with the access code required to register for the test at the MEC Testing Center. You will only be able to register for the ATI TEAS at NOVA with this link. Your request for an access code needs to be submitted 24 to 48 hours before when you plan on taking the exam. Once you have the code you can pay for and register for the ATI TEAS test. This will allow you to come into the MEC Testing center to take the test. The Testing Center administers test on a walk-in basis only. Checking the MEC Testing Center website for hours. Please arrive at the testing center with either your NOVA student ID card or government-issued photo identification. No other items should be brought to the testing center on the day of the exam. Results are printed and presented to the student immediately after the test is complete. 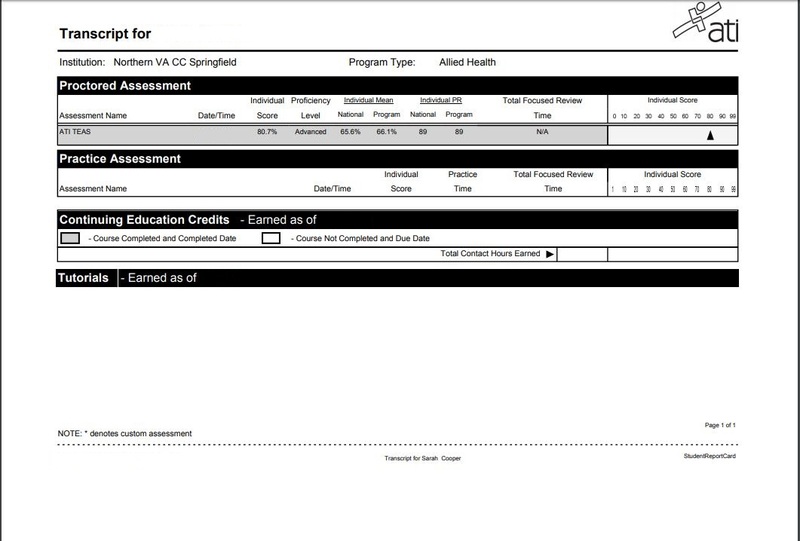 Score reports are also available online via the www.atitesting.com website. Does it factor into the competitive ranking? Your ATI TEAS results must be attached to the application. Therefore the deadline to take and submit the TEAS test is when you are submitting your application. The new online application allows you to attach documents. 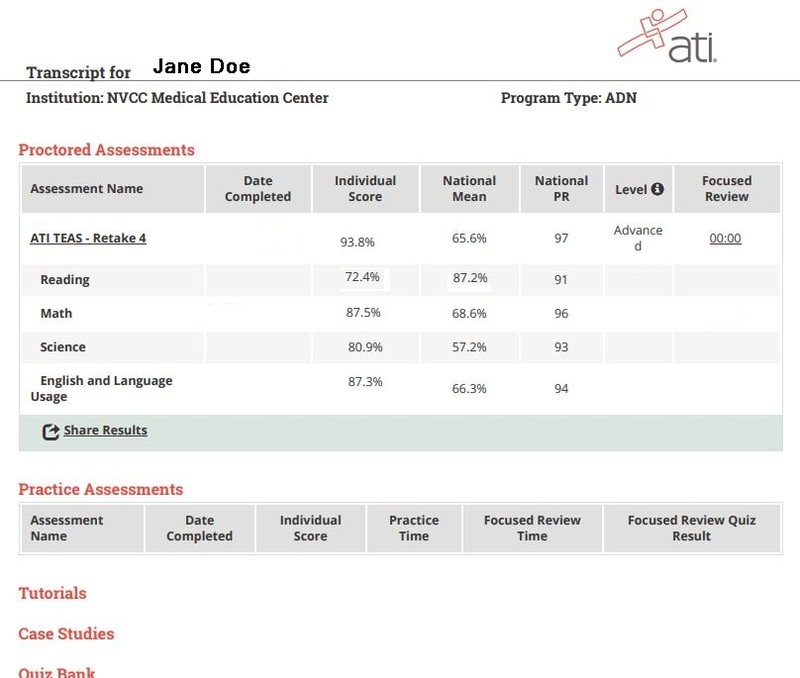 You can download a copy of your report directly from www.ATItesting.com website. 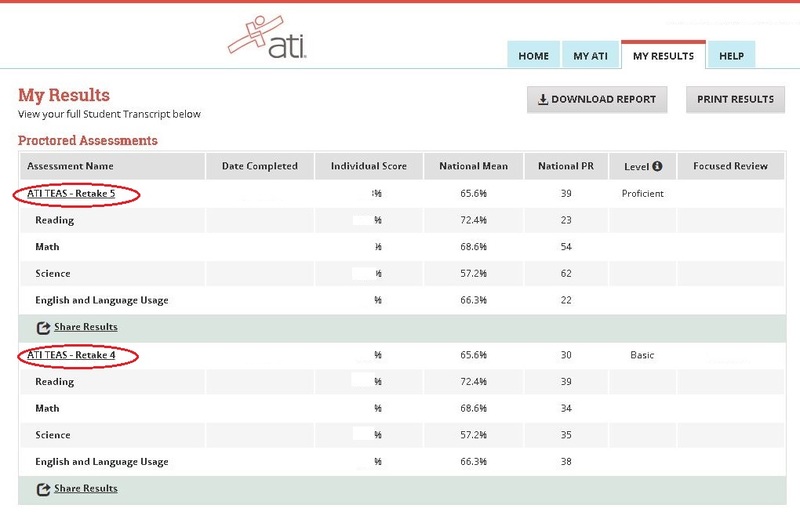 Log into your ATI account, under the main menu select My Results, click on the exam attempt and then the download report on the top right of the website. *PTA students should attach the full report. The anatomy scores are not on the main page. If you have already submitted an application, simply open the confirmation email that was sent to you, scroll down and click on “View Request”. 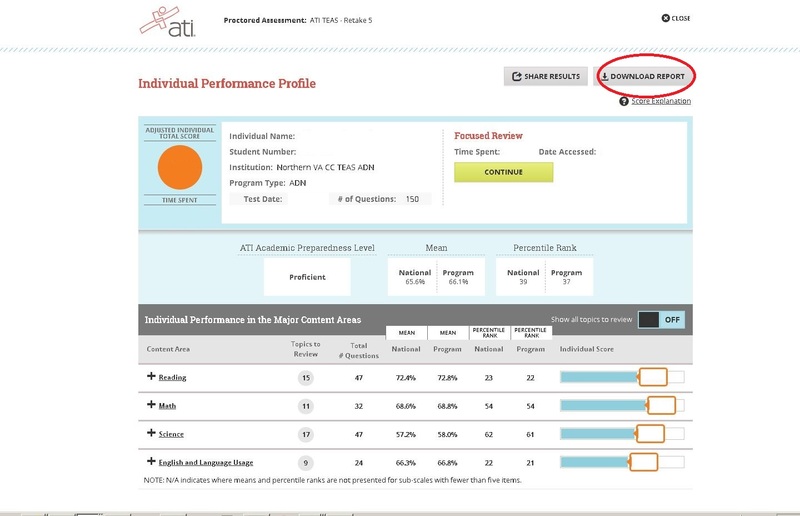 This will allow you to open your application and attach your TEAS Results. Students must wait a minimum of one month before retaking the exam again. The ATI TEAS test is comprised of 170 questions set up in a multiple-choice format with four-option answers. Questions are designed to test the basic academic skills you will need to perform in class in the areas of: Reading, Math, Science, and English and Language Usage.